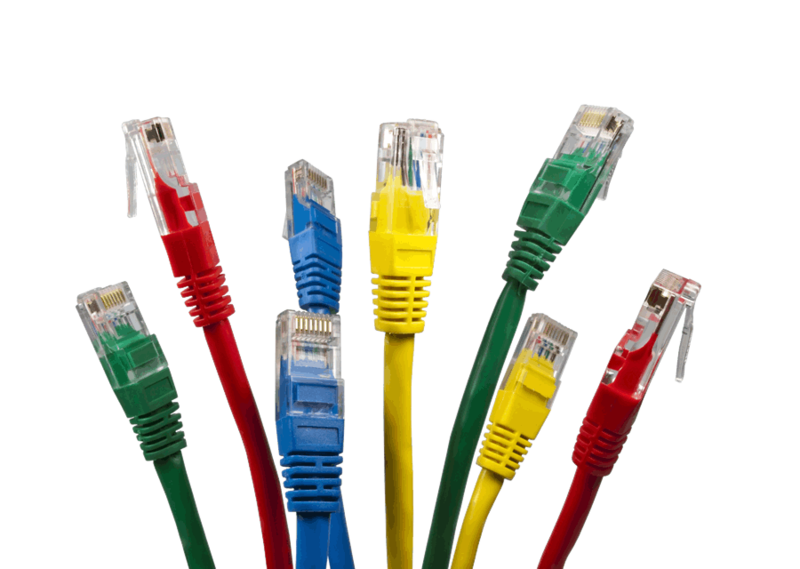 Portsmouth Communications specialises in all sizes of Cat5e, Cat6, Cat7 and fibre optic structured cabling installations in the Hampshire, West Sussex and Surrey areas. Founded in 1994, we have years of data network cabling and telecoms experience to draw on, including extensive data and voice cabling consultancy expertise. We are so confident our products and cabling installation services are of the highest quality that we offer a 25 year manufacturer backed warranty on all new structured cabling installations. 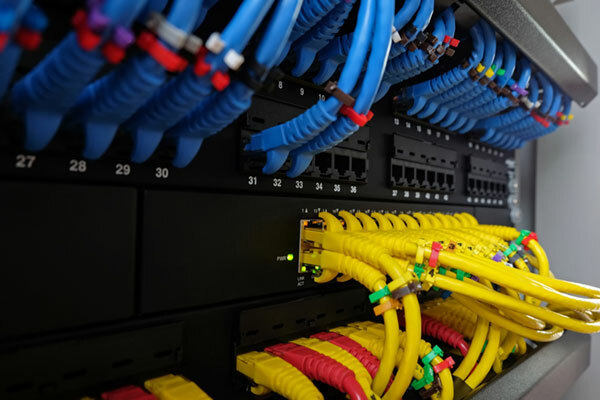 Manufacturer trained and experts in installing data and voice network cabling, we have the experience to professionally implement your installation, enhance your productivity and keep your systems operating at maximum efficiency. Whatever size cabling project you have, from a single additional outlet to a 5,000 point installation we can help. Every installation is performance tested using industry approved equipment to ensure the highest levels of integrity. Once you figure out if a rack or enclosure best suits your needs, there are still a number of options to weed through until you find the best fit. One of the first things to consider is where you are going to put your network equipment. Do you want it on the floor? On the wall? Perhaps even mounted to the ceiling? Along with cooling, cable management is one of the most pressing challenges encountered by network installers. Even a cursory internet search will turn up countless examples of cabling disasters, with network cables looking like messy spaghetti. This isn’t the way it has to be. Tackling your rack cable management during set-up and installation of server cabinets will ensure that it’s easy to expand, reconfigure and perform maintenance without having to worry about unplugging the wrong thing or navigating through the tangled cables. Time savings; cable and port tracing becomes a much easier job with a structured cabling system. Aesthetics; Never underestimate the looks! A structured cabling system will look much cleaner than a point to point method. Since the changes are done in the MDA versus at the hardware, the hardware can be cabled up and not touched in most instances. This allows the cabling in front of the switch to remain aesthetically pleasing. What Are the Risks Of Not Switching to a Structured Cabling System? Why not speak to our Technical Team about the Cabling solutions available. Prefer to talk to someone? Give our expert sales team a call and they will be happy to answer any and all of your structured cabling related questions.